To access the backoffice, you will need to login. You can do this by adding /umbraco to the end of your website URL, e.g. http://mywebsite.com/umbraco. Below, you will find instructions on how to customise the login screen. 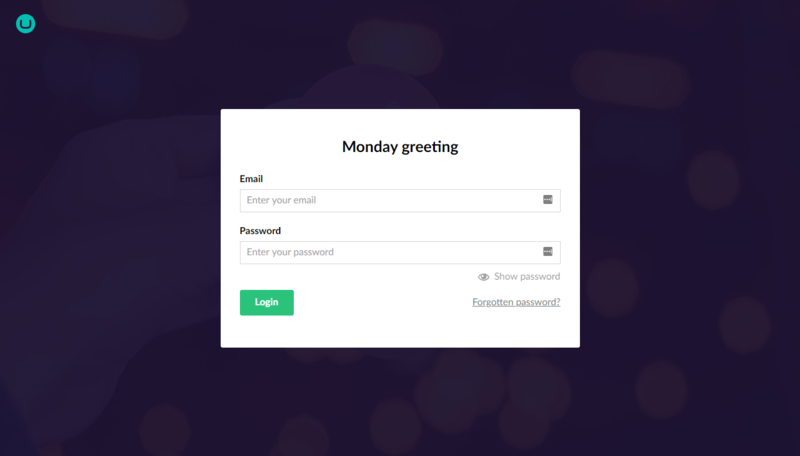 You can customize other text in the login screen as well, grab the default values from ~/Umbraco/Config/Lang/en.xml and copy the keys you want to translate into your ~/Config/Lang/MYLANGUAGE.user.xml file. Set it to true to enable the password reset feature, and to false to disable the feature. You will also need to configure an SMTP server in your web.config file. When you get a succesful result on the SMTP configuration when running a health check in the backoffice, you are good to go! It is possible to customize the background image for the backoffice login screen. In ~/Config/umbracoSettings.config find the loginBackgroundImage and change the path to the image you want to use.